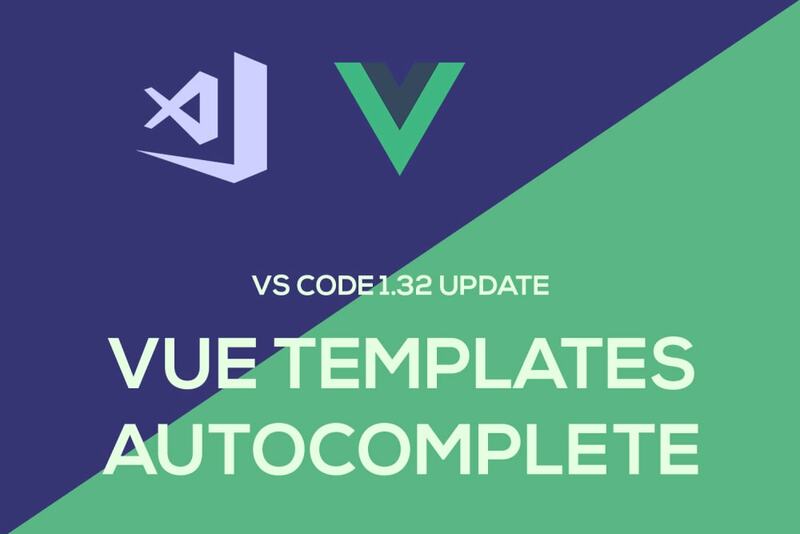 The VS Code 1.32 February update is out now and with it comes some great new features for Vue users. What else does can I do? Color themes without reloading: Install and apply new theme extensions without reloading. Keyboard shortcuts editor improvements: Modify keybinding &apos;when&apos; conditions in the editor. Problems panel hover commands: Apply Quick Fixes or open a Peek window directly from hovers. Preferred Code Actions: Preferred (mostly likely) Code Actions support auto fixing common issues. Debug Console customization: Modify font size, font family, and line height of the Debug Console. Big list of updates as usual! This is why VS Code has consistently been used by so many developers. Every month of VS Code updates brings in some useful features but there&apos;s one this month that really stood out to me. Let&apos;s say you have some data() in your Vue component. Let&apos;s say a message variable. If you wanted to use that message variable in your template, you can start typing and see VS Code help you out! The full list of updates can be found on the Vetur changelog. A big update for Vue developers that use VS Code and Vetur. Will definitely speed up my own Vue work. Great work to the VS Code team as always!